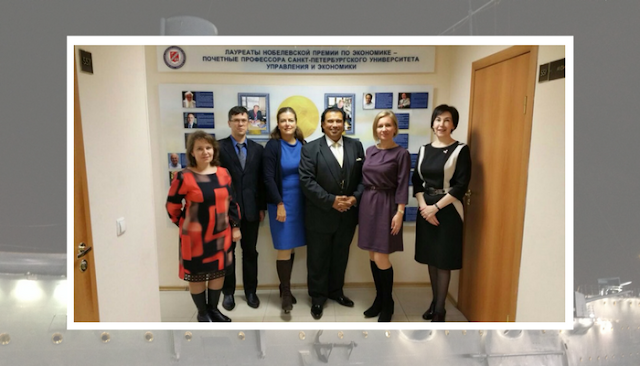 During the trip, Lea and Emma met with the Free Economics Society (FES) of Russia – with Margarita Ratnikova and Ekaterina Philippenkova in Moscow as well as St Petersburg region Executive Director Aleksandr Zolotarev. This included Lea giving a TV interview discussing such varied topics as technology in language training and the future of cryptocurrencies. Lea was honoured to be asked to become a committee member, joining such illustrious recent members as James Galbraith (the renowned economist, currently Professor at the University of Texas at Austin) and Peter Nolan (expert on Chinese economic relations and fellow of Cambridge University). LSI Portsmouth will offer other members their support and expertise in the area on English language training and professional development. 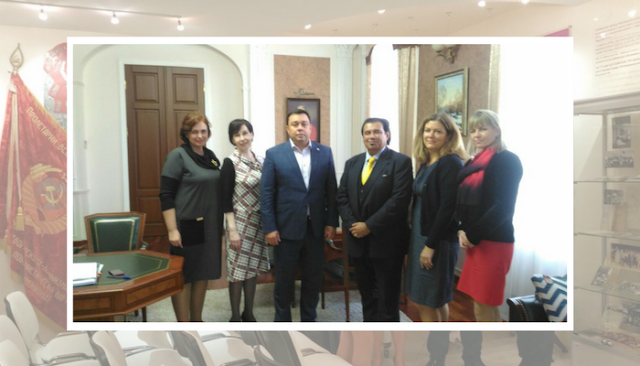 LSI have had a successful cooperation with the Institute of Economics and Finance of MIIT, the prestigious Russian University of Transport for many years, working with both students on General and Academic English courses and with lecturers on Professional Development programmes. Lea and Emma gave a presentation to staff and students – pictured here with students and with Lev Rybakov (Deputy Director in charge of International Affairs) and Yana Podoplelova (Principal Lecturer and International Officer). 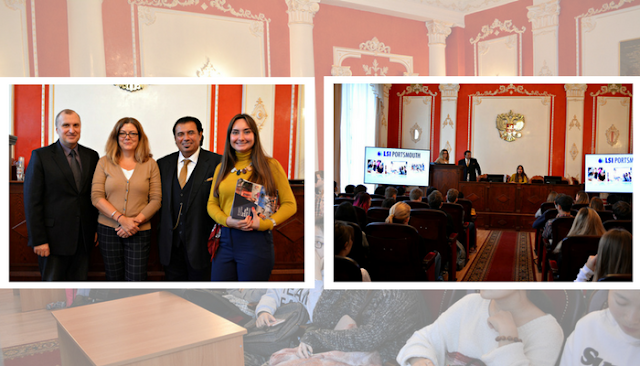 Lea and Emma also met with valued partners at the Financial University in Moscow and RANEPA (Russian Presidential Academy of National Economy and Public Administration). We were also honoured to meet with the Union of Scientific and Engineering Associations, pictured here with Lea and Emma. 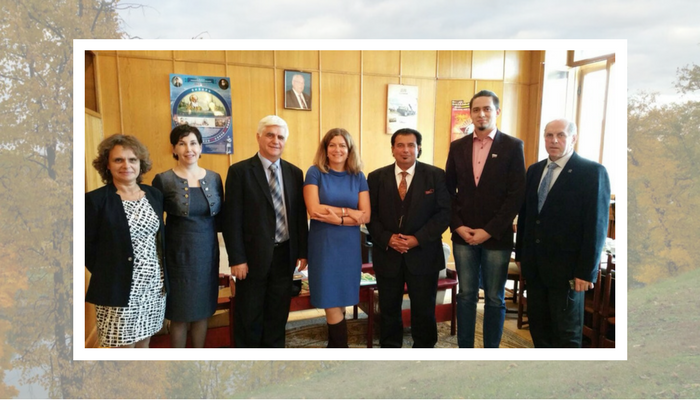 L-R Olga Boksha (USEA), Ekaterina Philippenkova (FES Moscow Region), Sergey Drukarenko (Vice-President of USEA), Emma, Lea, Kirill Korovitsin (USEA), Andrey Yaminsky (Bauman Moscow State Technical University). The picture below shows Ekaterina on the right, with key staff in the International Department at the St Petersburg University of Management and Economics, where Lea was invited to open a new faculty building. The trip finished in the wonderful city of Tambov, where the State University were wonderful hosts to our team, who had the opportunity to meet both the Rector Vladimir Stromov (pictured below) and the Dean of the Faculty of Philology and Journalism Sergei Khudiakov and their enthusiastic team. Of course, it wasn’t all just work! 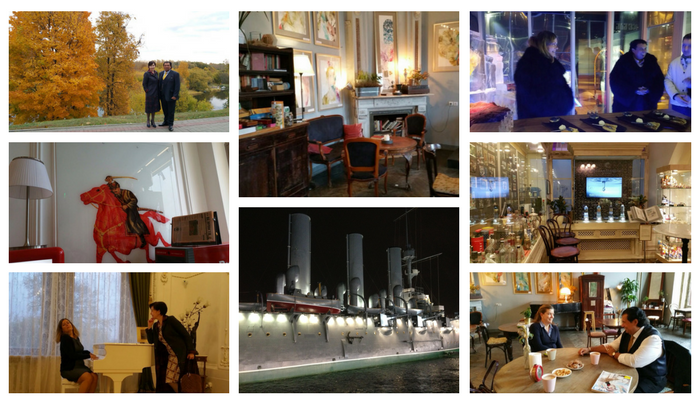 We had some wonderful evenings with some LSI friends. 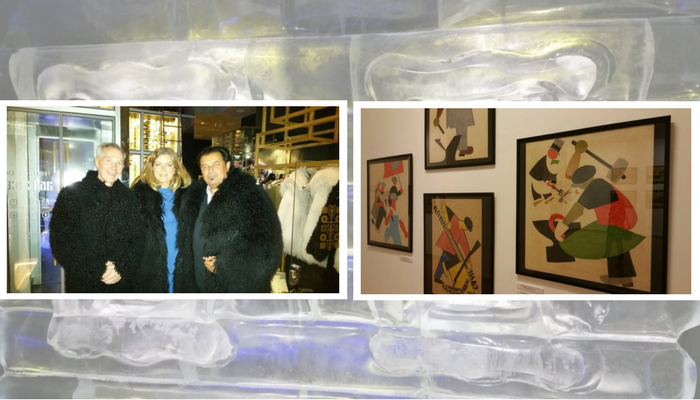 Below left shows Lea and Emma wearing yak coats going into an ice bar to enjoy vodka at -15° - with LSI’s very great old friend Dmitry who was their gracious host for the unforgettable evening. Another special memory was a visit to a museum in St Petersburg featuring art from revolution and Soviet-era posters with our dear friend Ekaterina. With the 100-year anniversary of the Russian Revolution, it was fascinating to look at such dramatic events in history and the amazing art the period produced.